Bill Darlison: Roads for Travelling Souls: Aries 2: Who is my Mother and who are my Brothers? Aries 2: Who is my Mother and who are my Brothers? However, to say that on these and similar occasions Jesus was acting ‘out of character’ is really rather misleading. Our character comes out in what we do and what we say, and if Jesus said and did these things then they were part of his character. What we really mean is that Jesus seems to be acting in ways which don’t quite square with the image of him that we carry around in our heads; but this image has been built up more from pious sermons, sentimental films, and apocryphal stories than from an actual close reading of the Gospel texts. According to the Gospels, Jesus was not always ‘Mr. Nice Guy’; sometimes he could be extremely unpleasant. I have never found the Jesus of John’s Gospel to be an appealing person at all. There are places where he seems to be arrogant, patronising, and self righteous. On one occasion, in chapter 7, he even seems to be deceitful. ‘You should go to Jerusalem to celebrate the Feast of Tabernacles,’ say his brothers. 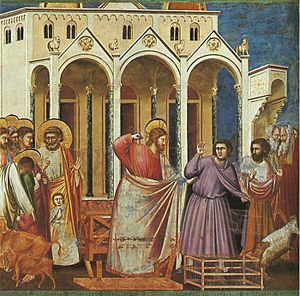 ‘No, I’m not going to go,’ replies Jesus dismissively; but then he goes! And when he later tells his apostles that they are his friends if they do what he tells them (John 15:14), I find myself losing patience with him as a genuinely sympathetic and humane person. These incidents teach us that anyone intent on following the spiritual path has to break away from some pretty restricting and oppressive social conditioning, and the most effective agency of this conditioning is the family. We learn our earliest and most enduring lessons about life and relationships at our mother’s knee; we inherit the family religion, or lack of it; we imbibe the family’s values before we are weaned; we build a social identity by processing the thousands of messages which accumulate daily from the overt and subtle words and actions of our parents and our siblings. The family itself has its own dynamics, from the obvious age relationships among brothers and sisters - which usually requires the oldest child to be competent, the middle one to be troublesome, and the youngest to be spoiled - to the designated roles which are apportioned early and which seem impossible to shake off. The master said there is one thing in this world which must never be forgotten. If you were to forget everything else, but were not to forget this, there would be no cause to worry; while if you remembered, performed and attended to everything else, but forgot this one thing, you would in fact have done nothing whatsoever. It is as if a king had sent you to a country to carry out one special, specific task. You go to the country and you perform a hundred other tasks, but if you have not performed the task you were sent for, it is as if you have performed nothing at all. So man has come into the world for a particular task, and this is his purpose. If he doesn’t perform it, he will have done nothing. Each of us is responsible for bringing to birth that authentic self which lies buried beneath those layers of prejudice which stifle its emergence with their insistence on conformity, homogenisation, prosperity, celebrity, and a hundred and one other culturally sanctioned distractions. This is why the passage from Mark’s Gospel in which Jesus is shown dissociating himself from his immediate family occurs where it does, in the Aries section of the Gospel, which would have been read and discussed at this time of the year, when the very trees and flowers around us are emerging from winter’s collective homogeneity and beginning to express their individuality and uniqueness. ‘Doing the will of God’ does not mean behaving yourself, going to church on Sunday, living a respectable life; it means discovering and expressing the unique and precious part that only you can play in the great drama of existence. ‘Who is my mother, and who are my brothers?’ asks Jesus. He goes on, ‘Those who do the will of God are my mother, my sisters and my brothers,’ by which he did not mean that his biological family were disreputable people – they were probably anything but - but that true nurture can only be provided by those who have themselves broken away from the Collective They, and who are concerned to help you find your authentic, creative, unique self.